Sheila on 03/29/2019 - "Have used this product since 1989 on a Hearthstone Log Home. It has proven to be quite durable & long lasting between applications. Easy to apply. Clean up of brushes after application is a breeze! Have been able to get 10-12 years between applications before having to restain logs. Love the Dark Natural Color." Audrey on 02/22/2019 - "Product provide great protection from the Florida sun, while retaining its beautiful color." Jane on 01/17/2019 - "We've used the Perma-Chink Lifeline Exterior on a large rough cut cedar siding home. It has looked so beautiful and lasted so long that other contractors have asked what we used because they haven't found anything that performs as well. We have also used the interior products with the same wonderful results." 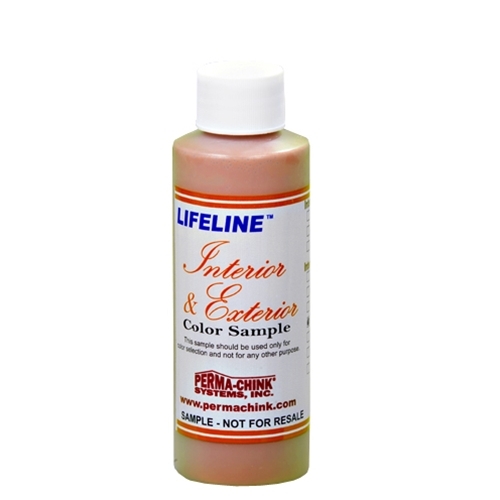 Richard on 11/02/2018 - "We have used the Lifeline Interior, Exterior, and ShellGuard with great results. We originally built our log home 22 years ago, and it still looks great! We have also since built other buildings on our lot and they look just as good. I would highly recommend Perma-Chink products. The staff here in Knoxville is very knowledgeable and they offer classes all the time to keep us updated on new products and to give advice or answer any questions we may have." Jane on 11/02/2018 - "We've used the Perma-Chink Lifeline Exterior on a large rough cut cedar siding home. It has looked so beautiful and lasted so long that other contractors have asked what we used because they haven't found anything that performs as well. We have also used the interior products with the same wonderful results." K Wilson on 02/26/15 - "I have a cabin in Washington State where I used your Lifeline Exterior finish on. The Stain is very easy to use and still looks like I just put it on yesterday, and it’s been on my home for 7 years. Thanks for making such a durable & long lasting finish." Marilyn B on 10/05/14 - "My husband & I have used your products on our homes for years. 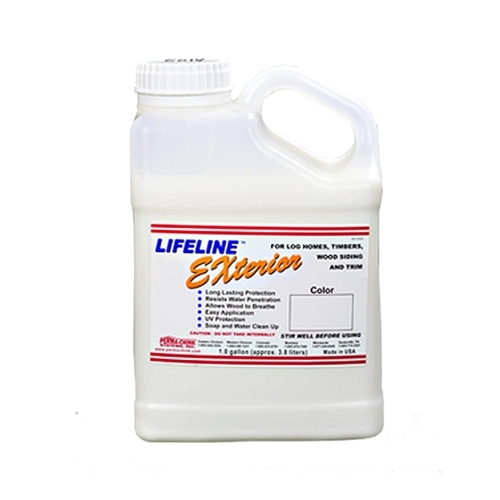 We have had good results with your original Lifeline Exterior stain. I know the Ultra stains have warranties and last longer, but we are on a budget. Oh and thank you for adding that BRONZE as a new color choice for us. Most of the homes in this area are that same color. Love your products!"